*Buildings listed are provided "as is." Limited customization available at an extra cost. 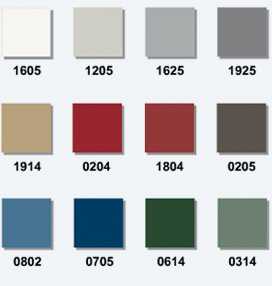 12 color choices for panel, roof and trim. All buildings can be customized with combinations of these colors.